This photograph shows the east side of the 500 block of Kansas Avenue, Topeka, Kansas. Kansas Avenue was the main business district during this time. 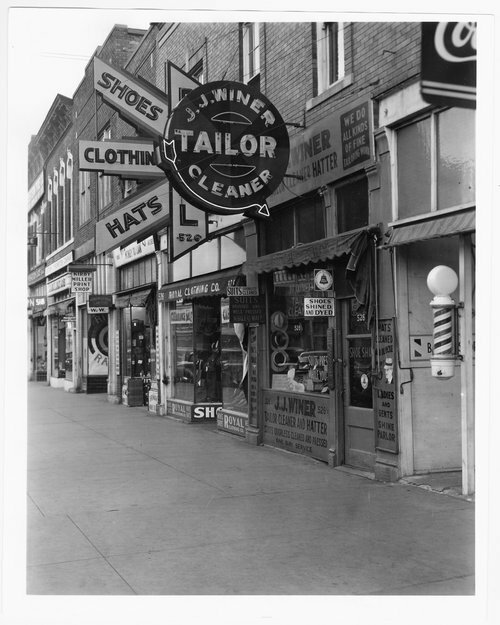 Businesses in the photograph are: J.J. Winer's Tailor and Cleaner, Royal Clothing Co., Kirby Miller Print Shop, and Brimans Jewelry.